Triplex plunger pumps are low maintenance solutions for high - pressure application such as hydro testing, car washes and jetting application. This pump are excellent for testing leakage and integrity from Boiler, Pressure Vessels, Metal Casting, Gas Cylinder, Pipes & Tubes Part. Pump are supply with different metals like brass, forged stainless steel 304, stainless steel 316, duplex steel, nickel bronze aluminum bronze etc. 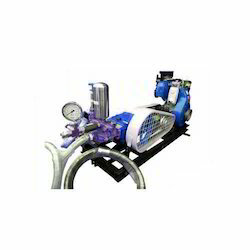 We are offering a wide range of Engine Drive Hydro Testing Pump. 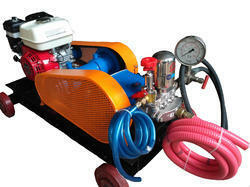 We are offering a wide range of Engine Operated Hydro Testing Pump.